The news for Happy Family is pretty good recently, topped by a Mother's Day acquisition by French food conglomerate Danone that saw the Evian water-owner picked up 92% of stock in Happy Family. 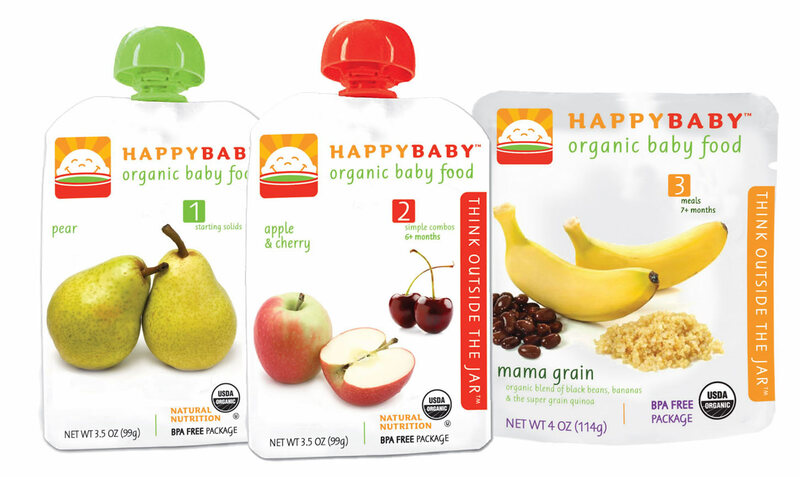 The date is doubly significant for Happy Family, as the company got its start on Mother's Day 2006, launched by a young woman upset at what was going into the processed baby food available at that time. The product was organic, nutrient-enhanced, and came in an easily carried pouch. There were two key decisions she made when launching Happy Family. The first set her apart from her competition. The second sparked an industry trend. The first was the choice of using only organic yogurts, fruits, and vegetables, which compared to the preservative-laden baby food at the time, offered parents a healthier alternative that they previously did not have. Remember, this debuted right around the time people started getting concerned about aspartame, high fructose corn syrup, and other questionably chemical food additives. The second decision is the one that set fire to the industry: the pouch. Up until that point, baby food came in jars. Occasionally plastic tubs, but predominantly tiny glass jars. With the pouch, consumers were sold on convenience -- take it anywhere, no spoons needed, your child will be able to feed themselves sooner. This managed to hit virtually every buzzword modern parents were looking for. You could leave the house, not bring a big/change of clothes/pressure washer, and help your kid hit a milestone. What was cleverly concealed under all this convenience, were the cost cutting measures enabled by the pouch. This concealment via clever marketing is beginning to fall under a larger term: cost structure transformation. The plastic pouches are cheaper to produce than glass jars, they typically hold fewer ounces of food (3.5 oz. pouch vs. 6 oz. jar), they expire faster (baby food jars are good for two days after opening if refrigerated, pouches have less than 24 hours) thereby generating more purchases, and they are essentially 100% labeling; producing far more space for brand recognition purposes than jars. All of these factors serve to benefit the company first and foremost, but that's never discussed thanks to clever and effective marketing. In the realm of revenue generation, this is as effective as it is devious, and it's really effective. It's right up there with the "grocery shrink ray" and "planned obsolescence". But as your own organization hunts for savings, it's not a bad trick to pull out, if possible. Mull the idea over a "lunchbox-friendly" 8 oz. soda (down from 12 ozs.) or a "responsible" (read: shrunken) Snickers bar. Tell us what you think below.